Dr. Justin Saya, of Defy Medical, recently wrote a paper discussing a couple of in office case studies that he performed. This is one of those studies where you say to yourself, "Why hasn't someone done this before?!" Kudos to him for finally doing it himself and giving us men some preliminary data to chew on. As you will see, Dr. Saya's work is timely, because, as described in my page on HCG Dosages, there is considerable variability and dissension among doctors about the correct dosage of HCG to give to their patients. One of the reasons is that there is precious little data on the subject out there. To help shine a little light into the darkness, Dr. Saya choose two men who had been on TRT for 5+ years and, therefore, had LH (luteinizing hormone) of essentially zero. He gave one of them 150 IU and the other 500 IU and then monitored their plasma HCG levels afterward. 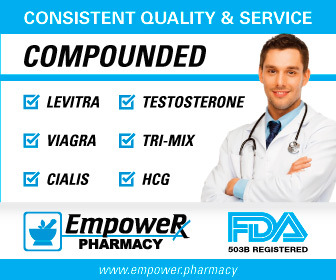 These dosages were chosen, I am sure, because men on TRT are commonly given HCG dosages in this range. For example, at my previous TRT clinic, I was on 250 IU twice per week. 500 IU two or three times per week is also common. And a few men are on smaller daily dosages. NOTE: Some of you may be wondering why a man would use HCG in this situation?. Check out my page on The Benefits of HCG for Men on TRT. If you look at the results in this table, you will notice 150 IU is likely much too low for a 3 day protocol as HCG concentrations go undetectably low between 8 and 24 hours. The 500 IU dosage on the other hand seems very appropriate for a 3 day protocol as concentrations are present for up 72 hours. This is interesting, because Dr. Lipshultz actually found that 500 IU of HCG about three times weekly was required to restore fertility in men on TRT. Clearly this protocol will get the testicular engines running again. 1. Dr. Saya wrote that "my clinical mind and instincts suggest the the 'ideal' hCG dosage likely lies in between these two extremes (150 IU vs. 500 IU) and idea frequency will hinge upon ideal dosage (with 150 IU or less dosages likely requiring daily or even more frequent injections) and larger dosages (500 IU, possibly even slightly smaler) requiring no more frequent than twice weekly injections...Without specific data on other dosages (which I would like to obtain), these patterns suggest that a dosage regimen of hCG 250iu-350iu on an every other day (QOD) schedule would likely offer an alternative regimen for relatively steady and consistent testicular stimulation, although these conclusions are only speculative and cannot be drawn definitively from this limited data"  Of course, he also pointed out that, besides the fact the fact that this was a very smal study, there are many other considerations when deciding upon dosage with one of the biggees often being fertiliy. 2. JustAskin, one of our senior posters, verified the above, when he explained that he really enjoyed a daily low dose HCG injection. He experienced such spectacular results that I documented it in a page on Daily HCG. He was doing 65 IU daily. 3. Tying into #2, I would argue that daily low dose HCG actually much more closely mimics the body's real LH diurnal rhythm. LH is typically secreted in short pulses in the morning hours that then drives the testes to produce testosterone in a similar fashion. LH does not have a long half life - about 20 minutes I believe - whereas HCG does. I discuss this in my page on HCG versus LH. "My Libido is about the same if I do E3D, the day before my testosterone shot. The days when I did E3D I feel the HCG better with the bigger dose, but it only last about 2 days. I have thought about trying EOD, But I just feel so much better using HCG. I read [Dr. Saya's] article, and, man, that is exactly what I experienced. That is why on the E3D I felt so good for a couple of days only. "I am a smaller guy 5'8" 150 lbs. so the 250 iu. E3D was a good dose for me. I only cut back because I did not know the long term outlook for HCG." "I noticed the more HCG you use the more you must cut back on your testosterone injection, per lab tests. The other reason I keep my HCG dose low is it drives up estradiol after a certain point. " 1) Dr. Justin Saya, Defy Medical, Feb. 2016, "Serum Beta hCG Concentrations Resulting from Single hCG Injection"